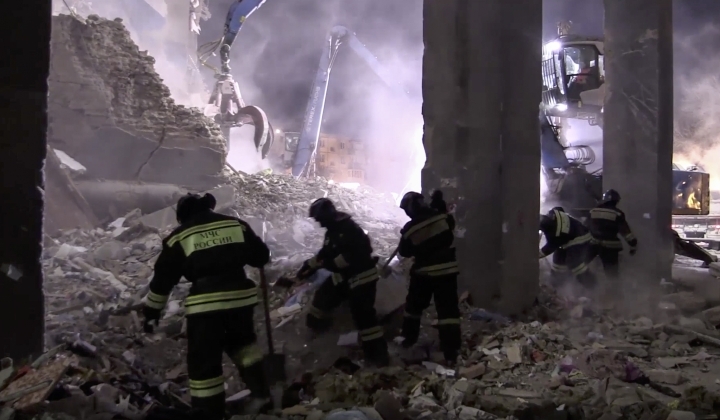 MOSCOW — After three-and-a-half days of fighting a mountain of concrete, cold weather and time, rescue teams in an industrial Russian city ended a search for people who were inside an apartment building where an explosion triggered a partial collapse, giving a final death toll Thursday of 39. 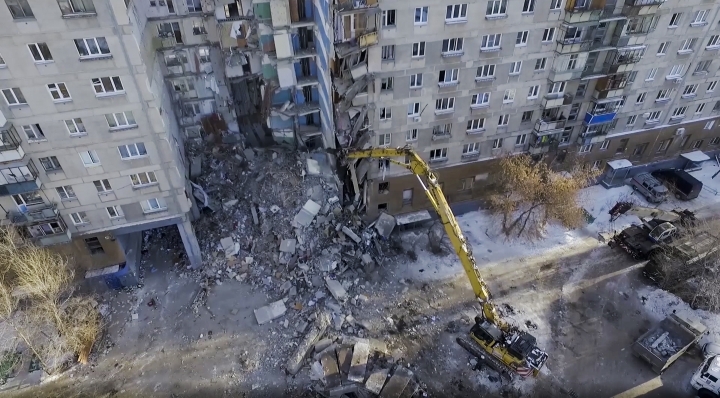 The massive operation launched by the Russian Emergencies Ministry in the jumbled maze of rubble where a section of a 10-story building stood in Magnitogorsk until Monday morning combined sophisticated equipment with grueling manual labor. 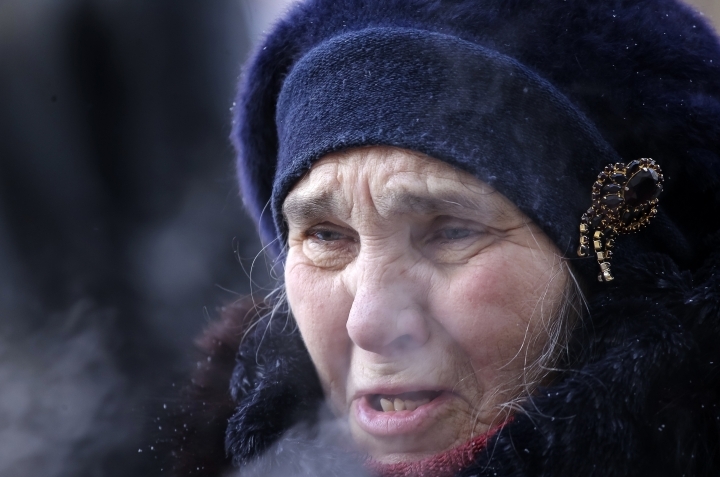 Russian officials said from the start that emergency crews were racing to reach survivors before they died of hypothermia in temperatures as low as minus 29 degrees Celsius (-20 F). 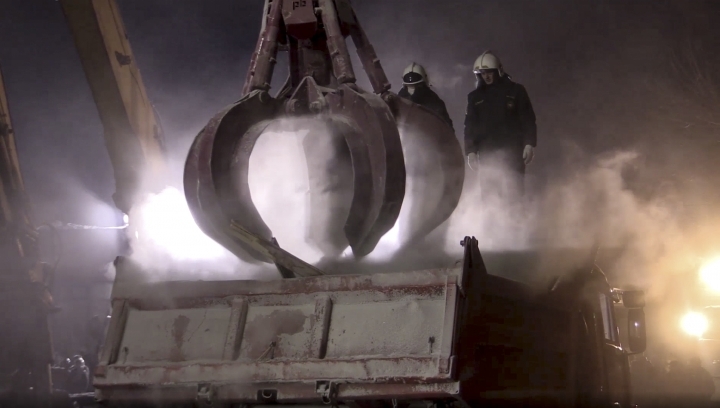 Supervisors ordered fans to blow warm air into the wreckage while drones, flexible ocular devices and the hands of hundreds probed for signs of life. A search dog brought hope to the grim work Tuesday when it pointed to a place where rescue workers would hear the cries of a baby. 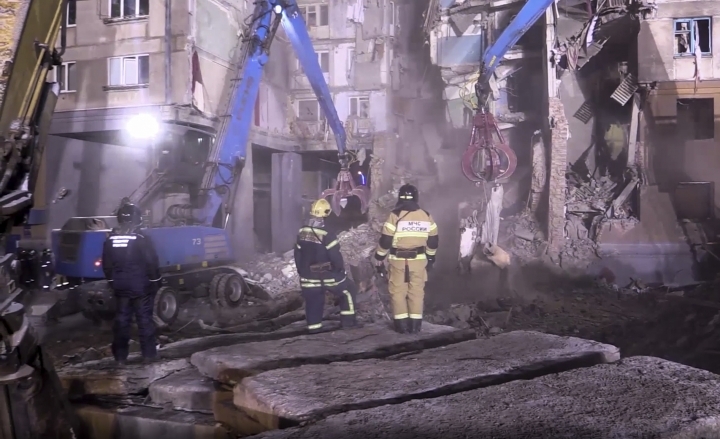 The 10-month-old boy who was pulled out 35 hours after the building came down ended up being the only person found alive in the debris. 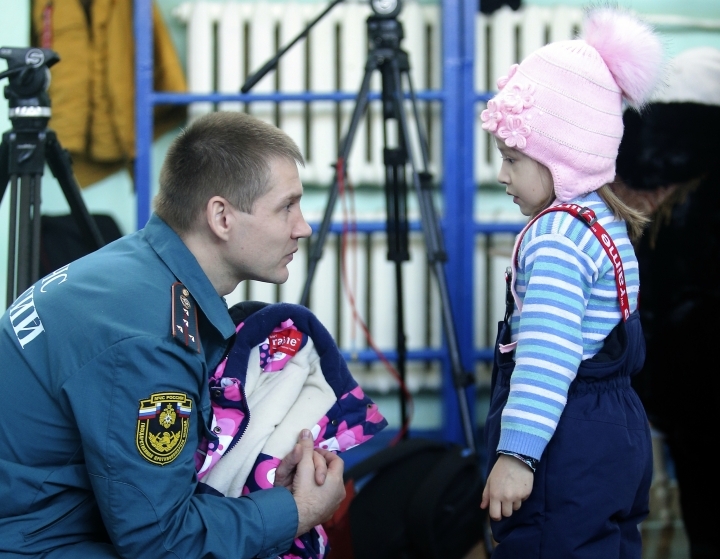 The child was airlifted 1400 kilometers (870 miles) miles to a top hospital in Moscow with severe injuries that included fractures, frostbite and the combination of shock and kidney damage that doctors call "crush syndrome." He was in stable condition Thursday, the Health Ministry said. 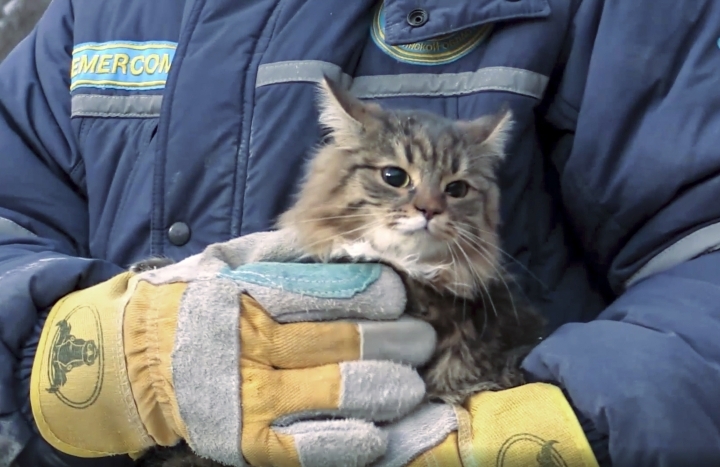 A cat was found alive on Wednesday, but that did not provide much solace as search crews discovered more and more bodies. The number of victims grew from four on Monday and kept mounting until the search ended Thursday night. 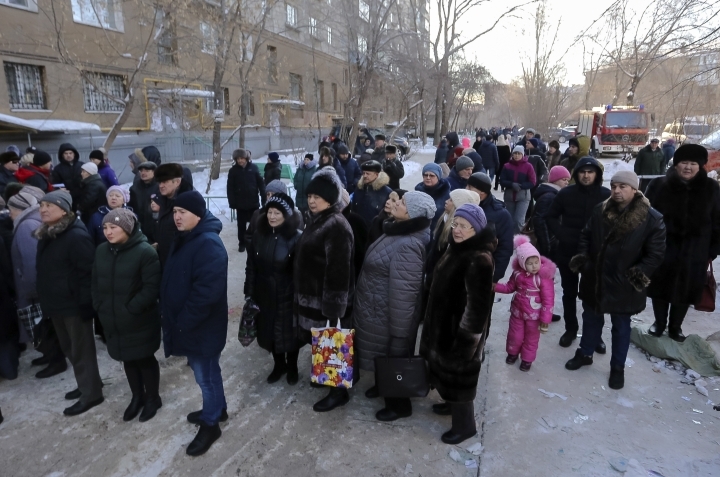 "We took out the last, the 39th body today and we guarantee that there are no more people in the building," Deputy Emergencies Minister Alexander Chuprian told reporters. Tallies earlier in the day said 38 bodies were recovered and three building residents still were unaccounted for, suggesting as many as 41 people had been buried in the rubble. It was not immediately clear why officials ended the search when the number of casualties reached 39. The collapse followed an explosion that officials say likely was caused by a gas leak. 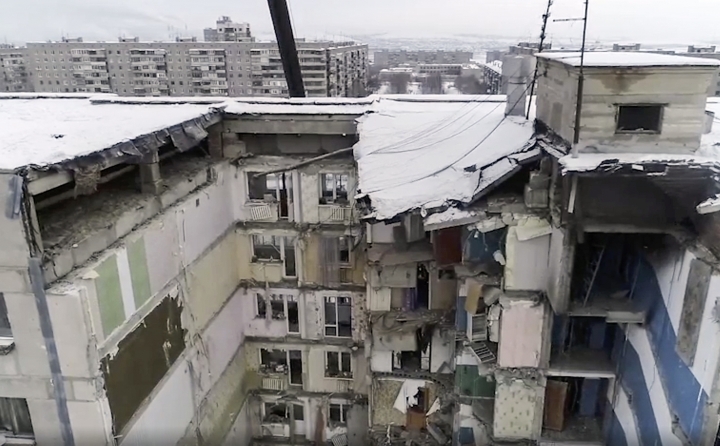 Explosions caused by gas leaks in poorly built and indifferently maintained buildings occur often in Russia, but the Magnitogorsk disaster claimed an unusually high number of lives. Along with the physical demands of wrestling jagged chunks of debris and the emotional stress of a bleak job, the search teams worked around the clock with the constant worry that still-standing parts of the building would fall on them. 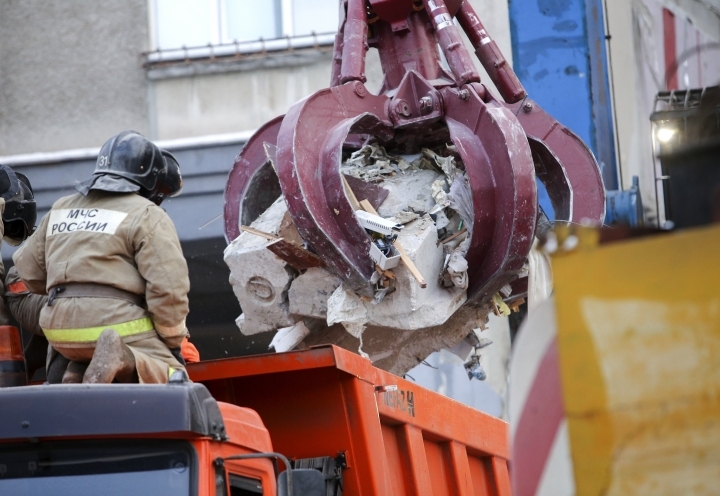 The search had to be suspended several times while workers stabilized walls or tore away pieces that looked like they might come crashing down. The operation "was unique in its high risk to people," Chuprian said. 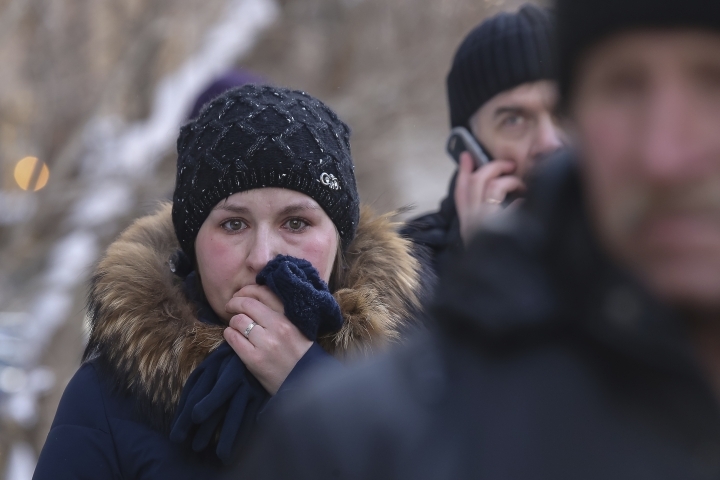 On Thursday, the mayor of Magnitogorsk southeast of Moscow, told journalists there was no connection between the explosion at the apartment building and the fiery explosion of a minibus on the same street a day later. But video of the burning vehicle, including some posted on YouTube by Russia's RT satellite TV channel, featured sounds resembling gunfire and an observer's voice is heard saying people are shooting assault rifles. "I want to say that there are no clear facts showing any kind of confirmation of what is described on the internet today," Mayor Sergei Berdnikov said of the reports, according to state news agency Tass.